I love my card catalog that I built years ago but I waxed it instead of using polyurethane like I normally do and it is a bit more, let’s say, high maintenance. It gets water rings easily. I finally decided to make some coasters so I didn’t need to buff it as much. 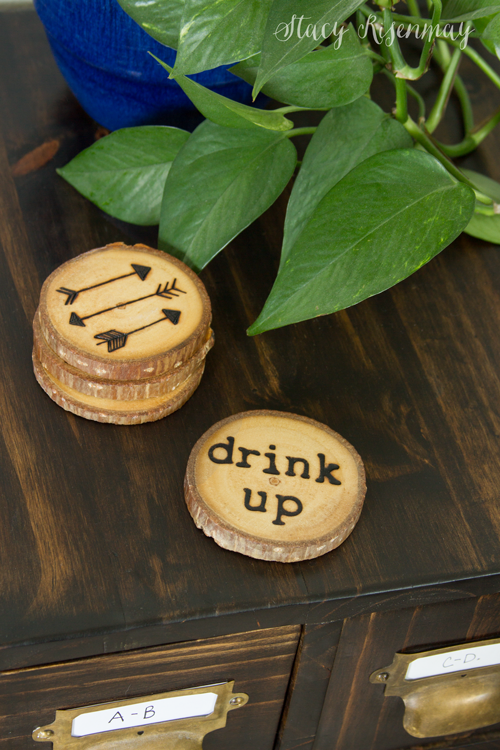 I had so much fun using my new wood burner on the wood notebook last month that I decided to use it again for these DIY drink coasters. Here is a super quick video showing how! Thanks to Sarasota Concrete Company for sponsoring my blog.